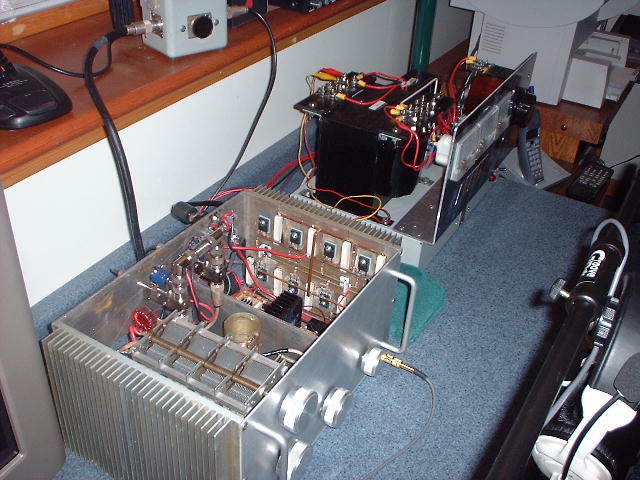 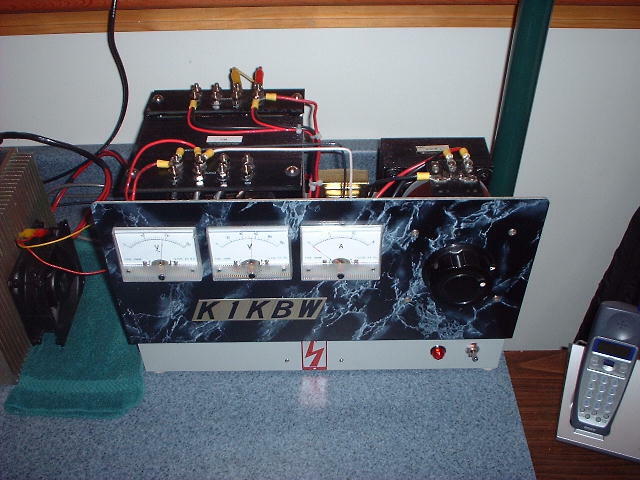 The original Class E rig "Einstein"
4 FETs on the left put out 250 watts carrier! 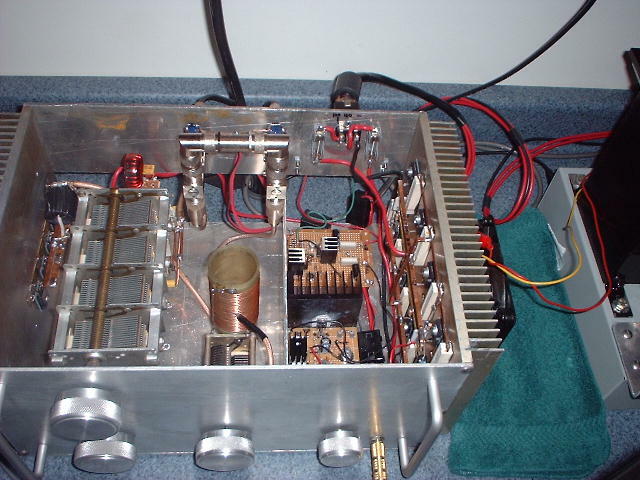 Here is the brute force power supply that delivers the 100 and 50 volts to the modulator. 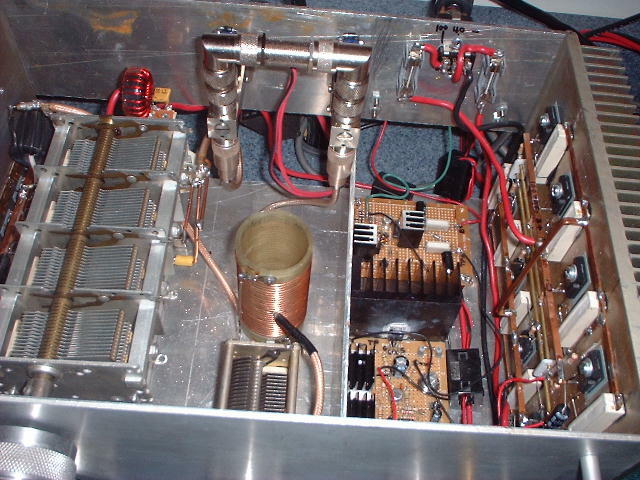 It is a bit overkill and plans are being made to downsize it. 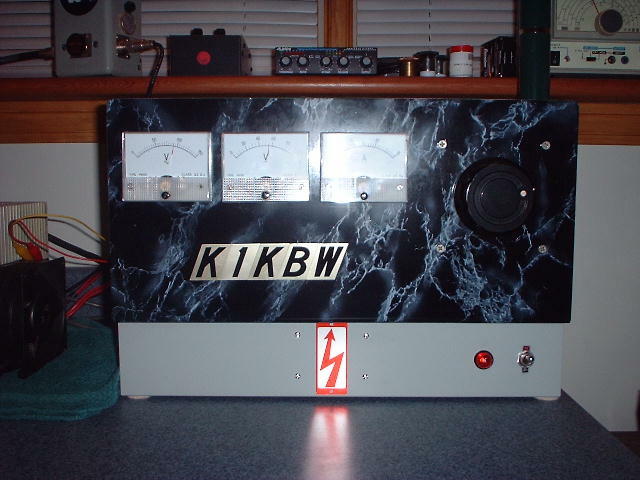 Here is the whole system, transmitter and power supply ready to put out a strapping signal!